CAT THOMPSON Singer-songwriter dancer and entertainer Cat Thompson performs and tours nationally and internationally with her team of back up dancers and brings a non-stop entertainment filled show. She has opened for major international acts including American Hip Hop rapper “Eve” Billboard’s Hot RB/Hip-Hop Top-Ten singer “Lloyd” New Zealand Hip Hop artist Savage as well as MTV’s America’s Best Dance Crew “The Jabbawockeez”. Cat Thompson has had three successful tours in the Solomon Islands has performed for members of the Solomon Islands Parliament and opened for Philippine superstars including multi-platinum recording artist “Dingdong Avanzado” and one of the Philippines’ biggest selling female recording artist ”Jessa Zaragoza”. Having her first piano lesson at the age of 7 there was no stopping her. Years of dedication and devotion to her passion has seen this young lady evolve into an artist that has more than just a beautiful singing voice to offer. 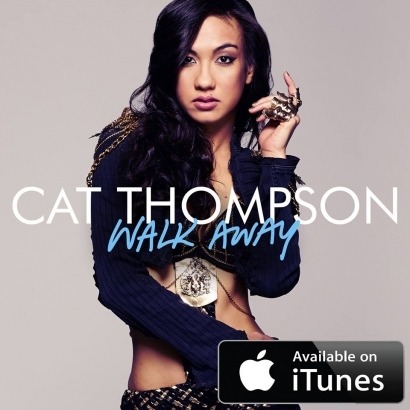 Currently based in Sydney Australia Cat Thompson is releasing her new single “Walk Away” which is now available on iTunes and Amazon.